Design projects may have different kinds of purposes. Whether it is a brochure design, web design, or even interior design, each has different purposes as to why it should be done. However, design has one thing in common when it comes to aim; clients’ satisfaction. Yes, every designer must have a design and practical thinking to a certain extent before diving into a project, because they should also think in clients’ perspective about how a design should be done. 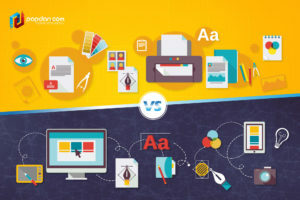 In this article, we are going to discuss about the difference between designing for print and designing for digital media. Keep reading to find out. The interaction between your viewers and your design is expressed in a different way when it comes to screen and print. For digital mediums, you want to make sure your design is easily accessible, usable, navigable, intuitive and clear while entertaining at the same time. Also, many users arrive in a digital space with a particularly informative goal in mind. When you design for these users, your work should function to facilitate their goal in browsing so that they can get all the information they want to know without having to bounce from the space immediately after entry. In the digital world, there is actual data that can show how effective your design is. For this reason, there is often a statistical element at work alongside the creative design process. Printed mediums give you the opportunity to engage viewers on a physical level. Aside from thinking about the imagination of what you design, you should also consider many of the physical aspects of the printing process. When it comes to printed designs, you should also consider the texture and weight of the paper, foam core or canvas print material. Embossed lettering and design is another way to evoke both visual complexity and the sense of touch. As for digital designs, we may use our fingers to work on scrolling while viewing a digital design, but it doesn’t give you a sense of touch – it will only let you see visuals. That being said, you can use video and music so you can evoke emotions from your viewers both in audio and visual. Interactive elements can also work to simulate an immersive experience with your design. 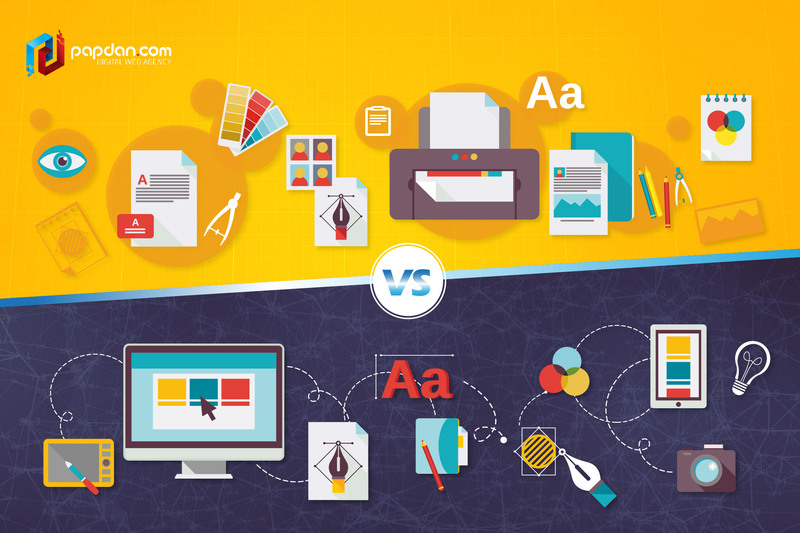 That’s how you can feel the difference between printed designs and digital designs. Whether you need it or not, it all depends on your company’s needs. However, when you decide to choose one of them; at least try to make it when the time is right. For example, you are joining a relevant seasonal event to your business; you might want to design brochures to let people know what you are up to in this event. Try to make it more appealing with a choice of paper that can make it more unique and different even though it is just a brochure. This entry was posted in Article and tagged agency, branding, business, content, design, designer, developer, development, google, marketing, Melbourne web designer, online, search engine, search engine optimisation, search engine optimization, SEO, SEO agency, social media, tips, web design, web developer, web developer agency, web development, website, website designer, website development on August 3, 2018 by Mario.